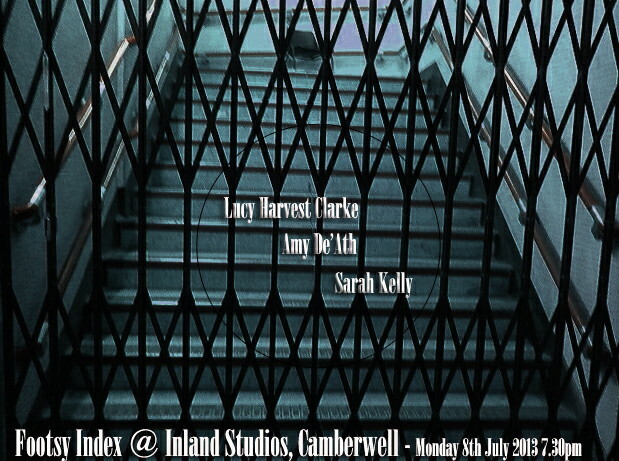 if p then q author Lucy Harvest Clarke reads with Amy De’Ath and Sarah Kelly at The Footsy Index. Click poster to enlarge. Video footage of Tom Jenks launching his if p then q collection Items at The Other Room May 2013.